Bhutan – Land of the Thunder Dragon is one of the most exotic destinations in the world today. The kingdom of Bhutan, often referred to as the last Shangri-la, is a land of outstanding people, remarkable scenery and natural wonders, and a proud and vibrant culture.Bhutan travel offer unique packages trip Bhutan tour, Bhutan trekking , Bhutan cultural tour as well as beautiful landscape, Tiger nest temple , Tibetan monasteries, Tibetan culture. A unique and rare place that few have had the privilege of visiting. Bhutan is wedged between the world’s giants, India and the Tibetan region of China, Bhutan is today slowly opening up to the world through a sensitive approach to tourism. Bhutan has a pristine environment, almost no pollution, and a living culture where festivals and cultural events are a part of daily life and not creations for tourism. Let us take care of your needs on your tour of this little known kingdom. Travel to Bhutan is still regulated through a policy of high value tourism. At this time and age when tourism most often dictates national economics, travel to Bhutan is a refreshing experience. Here, a deeply ingrained sense of hospitality, a universally acknowledged ecosystem and a living culture ensures every traveler the best that any nation has on offer. Travel to Bhutan is really an exploration. Explore a tradition and culture that has been preserved through the centuries. In Bhutan , it is not about seeing a display showcased for tourists but living and sharing an experience with the Bhutanese. From religious festivals to a celebration on a farm or a game of archery, become a part of it all. 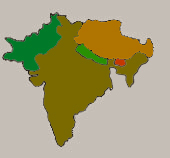 Bhutan remained isolated from the rest of the world and no tourism existed until 1974 preserving the rich natural environment and lively Buddhist culture. 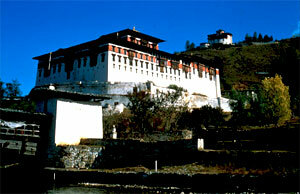 Now Bhutan has become one of the most exotic travel destinations for many international travelers. Every traveler has a lot to anticipate as each minute is exciting to discover a kingdom with incredibly unique and treasured tradition, culture, religion and natural environment which Bhutanese people still strives to preserve in the face of modernity.